Both top executives of MGE have each founded or managed their own successful training companies or health care practices prior to forming MGE Management Experts. 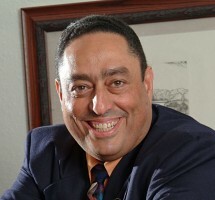 Luis A. Colón is President and CEO of MGE Management Experts a nationwide leader among executive training and seminar firms and is listed in the Who’s Who of American Business. Mr. Colón began his career as a professional management trainer after his service as a member of our armed forces during the Vietnam War Era. After many years in the consulting and training field on his own and as a member of two other firms, he founded the MGE Management Experts in the mid-1990s. As a seminar speaker, Mr. Colón’s dynamic and information packed delivery is fascinating and entertaining, yet down to earth. It has an enormous impact on business owners, professionals and employees alike making him one of the most sought after speakers in his industry today. Over the course of his career as a public speaker and management trainer, Mr. Colón has helped several thousand business owners, CEO’s, executives and professionals to increase business efficiency, income and organization. His genuine care for others and ability as an organizer and communicator makes him a natural when looking for someone with the ability to pick apart a confusing or difficult situation and make sense of it. In addition to his business contacts, religious leaders, political consultants, and leaders in the field of social reform have sought Mr. Colón out for advice. Social reform and issues relating to our well being as a nation are also important to Mr. Colón. As such, he has been called upon as a fundraiser and organizer for various organizations, specifically ones dealing with issues relating to children, criminal reform and education. The Presidents Award from an international human rights organization. An advisory board membership from The Hubbard College of Administration. Mr. Colón splits time between homes in Fairfax, VA and Clearwater, FL. He lives with his wife of 35 years, Judy, and has four children and six grandchildren. Gregory A. Winteregg, D.D.S is a graduate of the Indiana School of Dentistry and was a MGE Management Experts client for 18 months prior to becoming a partner in the company in 1994. When he first became a client in 1992, he had an average practice in a town of 10,000 people with twelve other dentists. Within twelve months of starting the MGE Management Experts program and applying the principles learned Dr. Winteregg was able to bring new patients from 10 to 70 per month on average (with no managed care); double practice revenues; assemble a great staff, and ultimately become one of the top four percent (4%) of practices nationally. While accomplishing all of this, he was also able to reduce his workweek to 22 ½ hours per week. 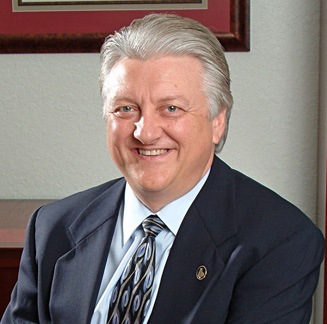 In 1994, Dr. Winteregg decided to sell his practice and join MGE Management Experts as a partner. Since that time he has dedicated his career to teaching other doctors the tools he learned which enabled him to take control of his practice. As a nationally recognized practice management speaker, Dr. Winteregg’s seminar delivery is best described as entertaining, yet very hard hitting and informative. His specific knowledge and personal application of the principles he is teaching make the information very real and immediately applicable to a seminar attendee, whether that attendee is a doctor or office team member. He has personally lectured to or consulted several thousand dentists on every aspect of practice management and expansion and has been a featured speaker at a number of dental meetings. He has also been published in several national magazines specific to the dental industry. Dr. Winteregg resides in Clearwater, FL with his wife of 34 years, Sandra, and has three children and one grandchild.